Over a period of twenty years, Hubert Herkomer taught about 600 students at his Art School in Bushey village. By 1914, the school had been closed for ten years but a number of former students settled in the village and the surrounding area. 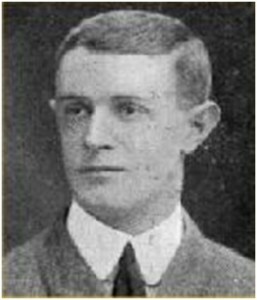 When Arthur Langton Airy was killed in France in 1915, friends remembered him and he was named as a Herkomer student in the Bushey Parish Magazine alongside other war casualties. Arthur Langton Airy came from a distinguished family. 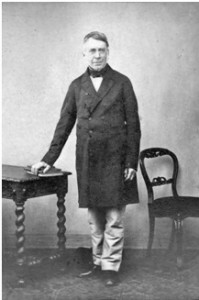 His grandfather, Sir George Biddell Airy, was Astronomer Royal from 1835 to 1881. During his tenure of 46 years in that role he transformed the Observatory at Greenwich, establishing it as the location of the prime meridian. Arthur’s father, Dr Hubert Airy, was a physician and wrote one of the definitive papers on migraine. Anna Airy, Arthur’s cousin, was one of the first women officially commissioned as a war artist. Arthur, born in about 1877, was the youngest of three children and inherited his mother’s maiden name of Langton. His eldest sister, Mary, was born in Lee, at that time in Kent, while Arthur and sister, Agnes, started life nearby in Kidbrooke, just a few miles from the Greenwich Observatory. By the time he was four, the family had moved to Eastbourne but there were strong family links with Suffolk so Arthur was sent to Eaton House, a private boarding school in Aldeburgh. Arthur Langton Airy was a student at the Herkomer Art School in Bushey in 1896. After his studies he returned home to his parents, who were living in Woodbridge, Suffolk. In April 1900 Arthur was commissioned into the 3rd Battalion of the Northamptonshire Regiment and gained his Lieutenancy in November that year, serving with the Ist Battalion in South Africa. He left the army on the death of his father in 1903. That year he married Grace Wood at Easton in Suffolk and by 1911 they had settled in Worthing, where Arthur worked as an artist. Their two children, Hubert Arthur and Jack Langton, were both named after their grandparents. Between 1899 and 1912 Arthur was a member of the Ipswich Art Club. He exhibited at the Royal Academy from 1904 until 1910, from Woodbridge in 1904, from London in1907 and from Worthing, Sussex in 1910. At the outbreak of the First World War he offered his services again, re-enlisting in the Northampton Regiment in October 1914. Like countless other young men, he left his wife and children to serve his country. He was killed in action in the trenches east of Cuinchy in France on 11 January 1915, aged 39 and has no known grave. 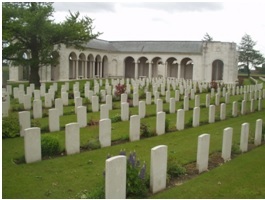 He is commemorated on the Le Touret Memorial to the Missing and on the Woodbridge Memorial in Suffolk.